No matter what it looks like on social media, Art Basel is all about the art. Well, at least the original one in Basel, Switzerland is. As for the Miami Beach edition, which takes place in the coming week (officially Thursday through Sunday, though festivities begin as early as Monday), it is still a horde of ancillary art shows and performances, with the parodic parade of parties swirling around them. Here are 10 buzzworthy happenings where culture, taste and excess all combine to electric effect. Some of the best art at Art Basel isn’t for sale. With so much of the art world in town, it is the moment for Miami’s galleries to shine. A modernist house designed by Jean Prouvé is being unveiled in the orchard behind the Delano hotel (1685 Collins Avenue), exhibiting sculptures by the Brooklyn artist Zak Kitnick and the French art duo Kolkoz. Meanwhile, across the bay, the artist Daniel Arsham excavates a giant hole at Locust Projects, a gallery in the Design District (3852 N. Miami Avenue), and fills it with ghostly casts of obsolete gadgets. And at the cheekily named Guccivuitton gallery just south of El Portal (8375 NE Second Avenue), an exhibition called “Luxury Face” ponders how art has become a blue-chip commodity. 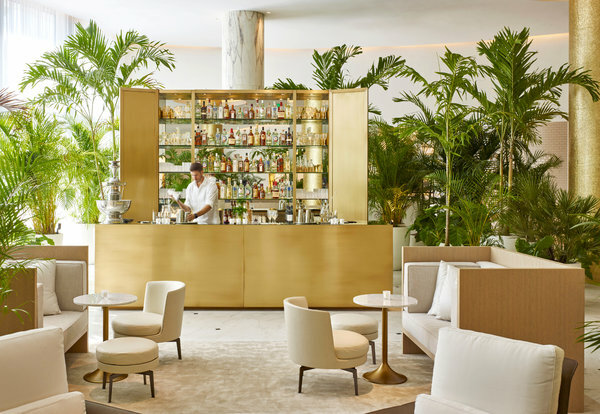 Ian Schrager returns to Miami with the 1960s-style Miami Beach Edition hotel (2901 Collins Avenue) and a slew of parties. On Wednesday, the design firm Yabu Pushelberg (responsible for the hotel’s white-and-cream interiors) hosts the debauched gay party from London Horse Meat Disco. The rest of the week, there will be parties for Visionaire and W magazine, and pool bungalows turned into pop-up galleries and bookshops. Also new in Mid-Beach is the Thompson Miami Beach (4041 Collins Avenue), which will host parties for Jeremy Scott and others. Last year, rumors were spiraling about the Museum of Contemporary Art North Miami, and a rancorous split between its board and the city. Would MoCA’s board decamp? Yes. Would it move to the beach? No. Instead, the newly formed Institute of Contemporary Art Miami (I.C.A.) has set up shop in the Design District (Moore Building, 4040 NE Second Avenue; icamiami.org). Inaugural exhibitions by Pedro Reyes and Andra Ursuta open on Tuesday, with an intimate dinner that night hosted by Lisson Gallery. Speaking of the Design District, the luxury strip mall continues to heat up. On the retail front, newcomers include Chrome Hearts, a Los Angeles-based jewelry brand that opens a concept store (4025 NE Second Avenue; chromehearts.com), and a pop-up marketplace called The World of Mr. Somebody and Mr. Nobody featuring the outré European designers Walter Van Beirendonck and Bernhard Wilhelm (91 NE 40th Street). The scene continues after dark with a V.I.P. 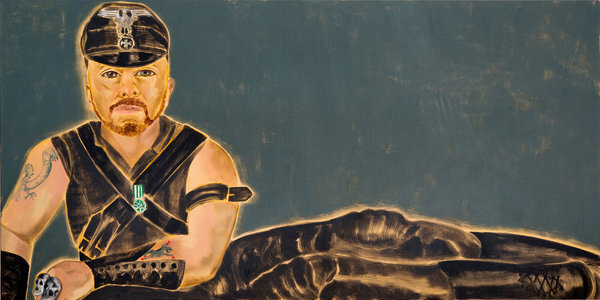 dinner on Wednesday for Peter Marino, who has an exhibition at the Bass Museum of Art. Musicians are artists, too. And these days, the caliber of D.J.s and performers at Art Basel rivals that of the Winter Music Conference. Tongues are wagging about what may be Jeffrey Deitch’s grandest Miami stunt yet: a private Miley Cyrus concert at the Raleigh (1775 Collins Avenue) on Wednesday. YoungArts Miami features a triple play from Britain: the inscrutable chanteuse FKA twigs (Thursday), James Blake (Friday) and the dance alchemist SBTRKT (Saturday) (2100 Biscayne Boulevard, youngarts.org/artbasel; tickets from $37). The Pérez Art Museum Miami (1103 Biscayne Boulevard) celebrates its first year on Thursday with Kelela, Total Freedom and the D.J. collective Future Brown. And Solange Knowles D.J.s at various parties. To say that Art Basel is saturated with satellite fairs is putting it lightly. But not all are worth your time. For those seeking emerging talent, the New Art Dealers Alliance (NADA) is still a draw for young galleries like Misako & Rosen of Tokyo, François Ghebaly Gallery in Los Angeles and Foxy Production in New York (Deauville Beach Resort, 6701 Collins Avenue, newartdealers.org). 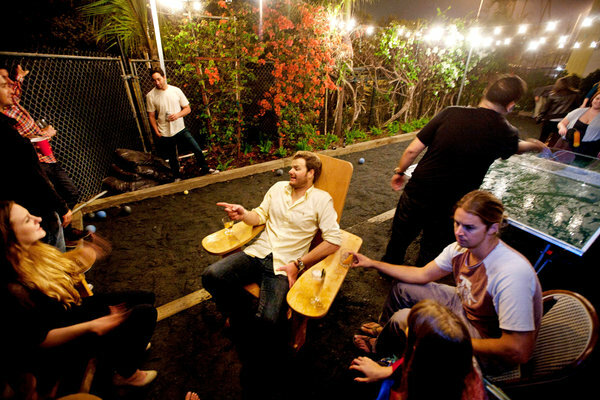 Newcomers include the NEWD Art Show, an “anti-fair” from Bushwick, Brooklyn, that is testing the waters with a Wednesday cocktail party at the Freehand (2727 Indian Creek Drive), and Concept, a secondary-market fair held on a yacht docked downtown in Miami. While Tumblr and GIFs were all the rage a couple of years ago, the more ontological dimensions of the web are taking center stage this year. On Tuesday, Ryan McNamara will reprise his “ME3M 4 Miami: Story Ballet About the Internet” from the Performa biennial at the Miami Grand Theater at the Castle Beach Resort (5445 Collins Avenue). On Thursday, the art-world bigwigs Klaus Biesenbach, Hans Ulrich Obrist and Simon de Pury join the Instagram co-founder Kevin Systrom, the artist Amalia Ulman and Bettina Korek (moderator) to discuss “Instagram as an Artistic Medium” — no selfies were harmed in the making of this panel (Miami Beach Convention Center, Auditorium Hall C; Thursday at 5 p.m., open to Art Basel attendees). As Art Basel veterans know: The real action takes place at the private dinners and parties that give the week its hedonistic reputation. Tentpole events include White Cube’s welcome-to-town jubilee on Tuesday at the Soho Beach House (4385 Collins Avenue); Artsy’s Wednesday party with Carter Cleveland, Wendi Murdoch and Dasha Zhukova, which this year moves to the Design District; and Aby Rosen and Samantha Boardman’s who’s-who dinner on Thursday at the W hotel. Needless to say, strictly invitation only. Even more exclusive, perhaps, are the parties held at private estates,. This year, the Russian collector Maria Baibakova and her family, who upgraded from a Setai penthouse to an island home, are hosting a housewarming on Wednesday, with VanDutch boats whisking partygoers across Biscayne Bay. On Tuesday, Dee and Tommy Hilfiger, the new owner of the Raleigh hotel (which he plans to convert into a private club) will host a dinner at his Golden Beach home to celebrate a Dee Ocleppo handbag benefiting Autism Speaks. With only so many hours before the sun comes up, the battle of the after-parties rages on. Rather than the roving parties of years past, Le Baron hunkers down at its previous home, FDR at Delano (1685 Collins Avenue). On Tuesday, Silencio slides into the Edition hotel for a party with the New Museum. 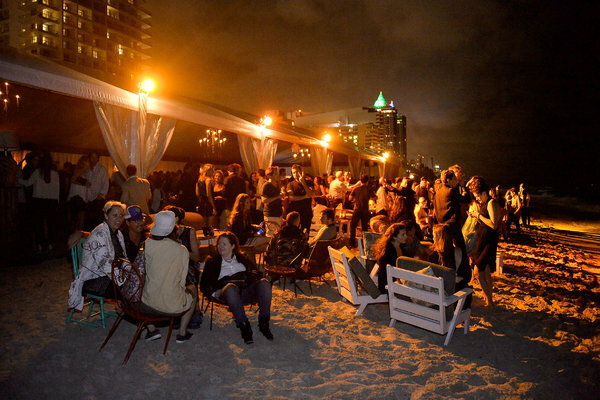 Tolga’s Fair Pop-up, will hold a week-ending blowout on Sunday at a club to be announced, while Surf Lodge and Paul’s Baby Grand will hold pop-up parties at the Deauville Beach Resort. An article last Sunday about events related to Art Basel Miami Beach omitted part of the name for a performance last Tuesday. It was the “ME3M 4 Miami: Story Ballet About the Internet,” not just “Story Ballet About the Internet.” The article also misidentified the venue for that performance. It is the Castle Beach Resort, not the Thompson hotel. In addition, the article misstated the purpose of a dinner for Peter Marino on Wednesday. 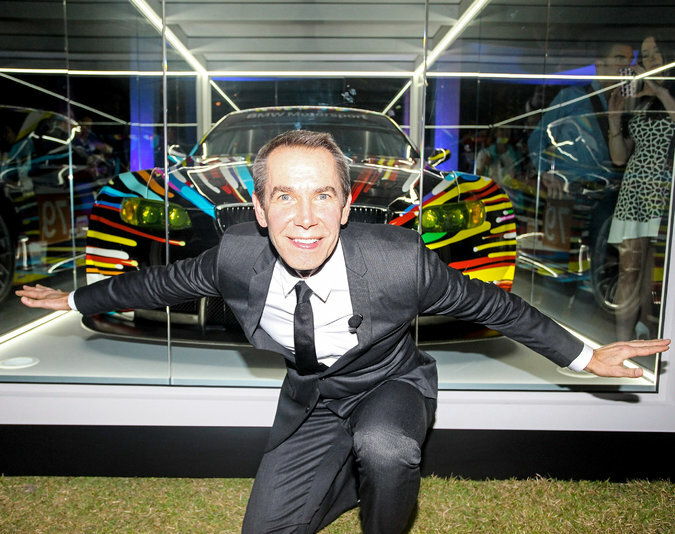 It was to honor him personally, not his current exhibition at the Bass Museum of Art in Miami Beach. And, finally, the article misstated part of the address of the Institute of Contemporary Art, Miami. It is 4040 NE Second Avenue, not 3841.